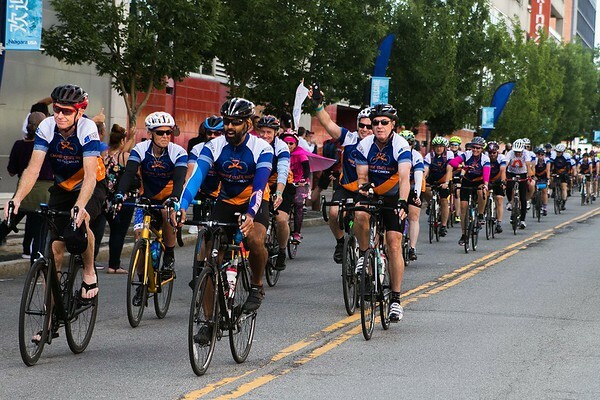 Participants in the New York State Ride to benefit Roswell Park Cancer Institute rode to the finish line on Old Falls Street Saturday afternoon. The riders started in New York City a week ago and rode 546 miles to Niagara Falls. The rise brought in $500,000 for Roswell.